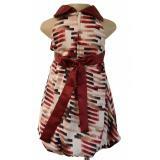 Faye online store for kids dresses. 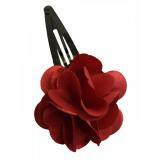 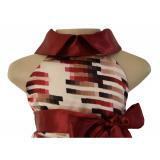 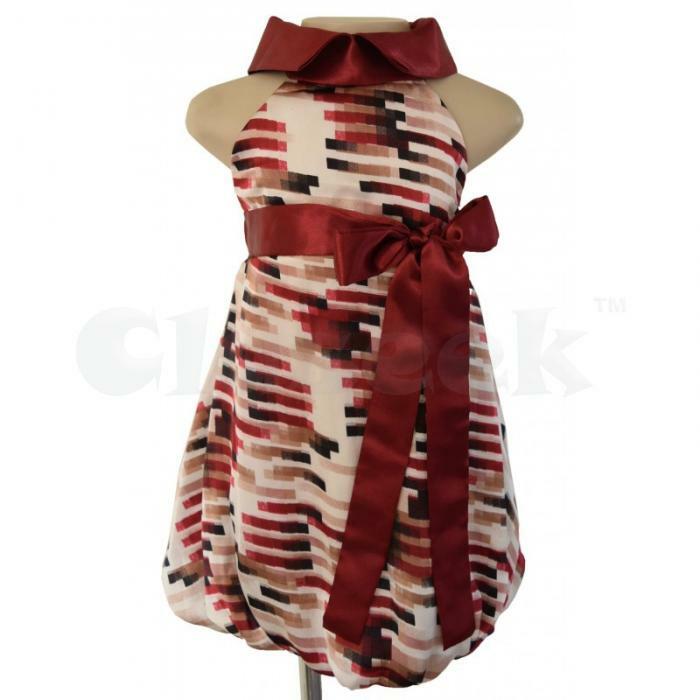 Buy stylish & elegant party dresses and matching hair accessories. 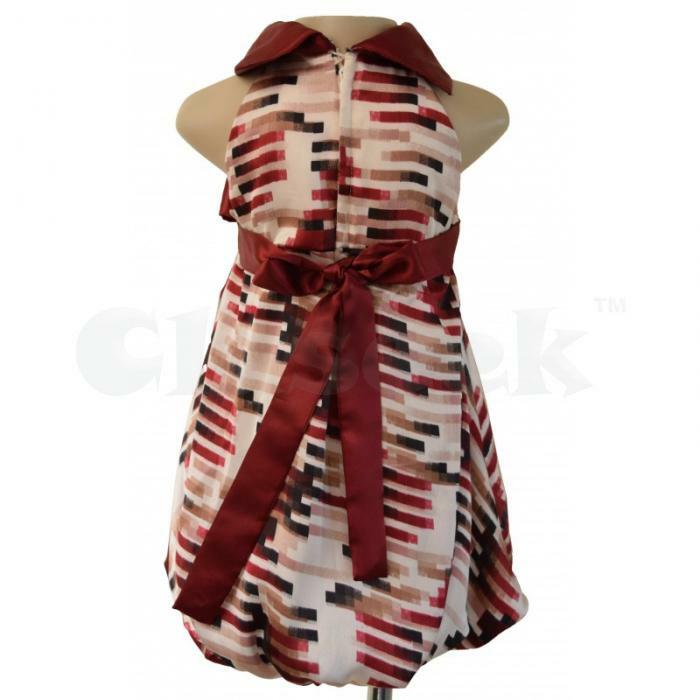 Buy this lovely dress for your lovely princess. This geometric satin number features trendy touches like a fold over collar, a halter neck, a bubble hem alongside a self tie sash. 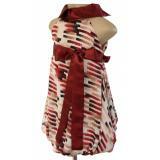 This will ensure she is dressed to her stylish best.